Postcard printed for the 2nd Maccabiah Games. Tel Aviv, British Mandate of Palestine, April 2nd - 10th 1935. Coll. Mémorial de la Shoah/ CDJC. The delegations of athletes assembled in a Tel Aviv stadium at the 2nd Maccabiah Games. British Mandate of Palestine, April 1935. Postcard. Coll. Mémorial de la Shoah/ CDJC. Formed at the end of the 19th century, the Olympic Games and Zionist movements don't have many points in common, aside from similar pacifist principles and a transnational organizational structure. The Maccabiah Games may have borrowed their ceremony from the Olympics, but their main goal is to bring together Jewish athletes from around the world, rather than to break sporting records. In 1929, after the International Olympic Committee had refused to recognize the Maccabi World Union, Yosef Yekutieli suggested to the chairman of the Jewish National Fund that a « Jewish Olympic Games » should be created. The British High Commissioner in Palestine, Sir Arthur Wauchope, agreed on condition that Arab athletes and sportsmen from the British Mandate could also take part. 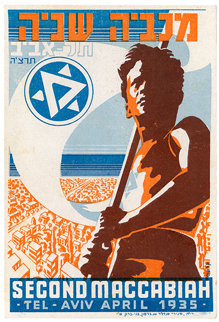 The first Maccabiah Games were held in Tel Aviv between March 28th and April 6th, 1932. The parade of 390 athletes, representing eighteen countries, and some 1,500 gymnasts was opened by Mayor Meïr Dizengoff, who joined the parade on a white horse. 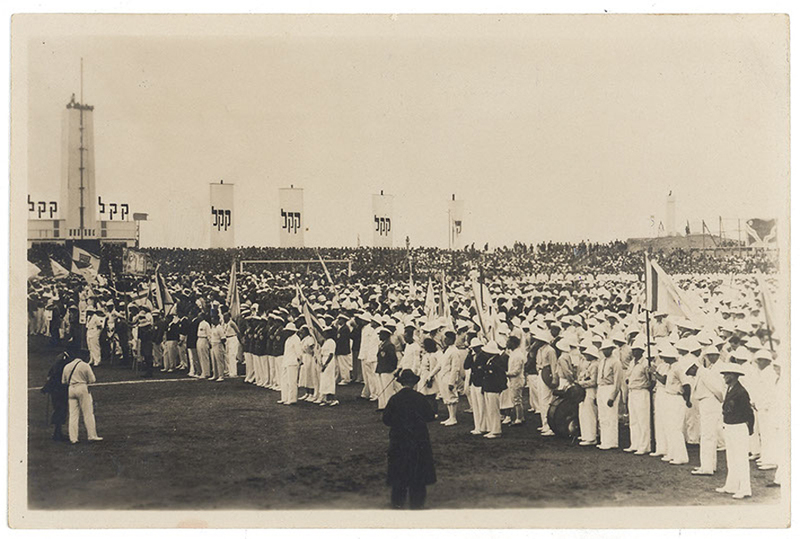 Bringing together 1,350 athletes from 28 countries, the second Maccabiah Games in 1935 were even more successful, largely due to the rise of the Maccabi movement in Europe, and further afield in Egypt, Syria, Argentina and so on. While it would be inaccurate to call it a « sporting aliyah », it is nonetheless true that some athletes made use of the Maccabiah Games to set up home in Palestine, even though under the British Mandate, Jewish immigration was limited (White Papers in 1922 and 1930). This is correct, the 1st Maccabiah Games took place in 1932. The 1st Maccabiah Games took place in 1932.